"Is Jason Jordan really who he says he is? Read an excerpt of High Desert Haven." 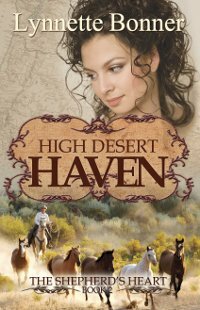 For a well-rounded Christian historical romance novel, High Desert Haven has it all: a caring and cared-for heroine, a charming and God-fearing hero, great secondary characters, and a rather well-paced plot. The elements that really shine are those secondary characters and the plot riddled with tension and dilemmas. Nicki is a bit typical in her feisty damsel-in-distress role. Jason helps her find the gumption to keep persevering through her ranch's endless problems, and ultimately she does an adequate job at holding the reader's sympathy, although she does lack a certain something to make her stand out and inspire the reader. Jason really does fit the bill as a great cowboy-hero. He respects and loves his family, takes on tasks wholeheartedly, never ceases to try to save the day for Nicki, and is man enough to work off the land and still play with a little boy. He's quite likeable, although he does seem to be portrayed as too perfect in some ways. The emphasis on the secondary characters admittedly came across as a hindrance for me initially. After all, this is Nicki and Jason's story, right? And I can be impatient when there are distractions from the budding romance! But the quirks and mannerisms and heart of those secondary characters won me over, perhaps even more so than Nicki and Jason for the most part. Even one of the villains quite intrigued me with his disastrous marriage. 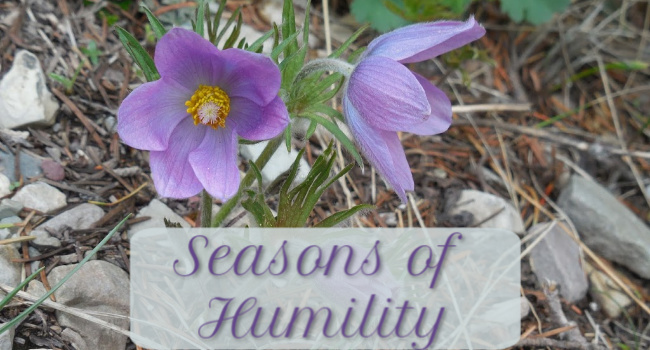 It is evident that High Desert Haven is only one book in a series, because characters from a previous novel (Rocky Mountain Oasis), as well as characters promised to star in their own future books, share the spotlight on occasion in this installment. But the story stands on its own. Some of the attitudes and words of the characters come across as more "modern" at times, and the faith element is kind of forceful. Still, High Desert Haven is a story that holds one's interest and contains a cast of interesting characters. Have you seen the "Currently on My Desk" feature in the sidebar (courtesy of Goodreads)? There are some books that have been in that section for a long, long time. I really need some motivation to get some reading done - and not just any reading, but reading that I ought to have finished a long, long time ago. Hence, the "End of Summer Push." It's a reading challenge for me, along with anyone else who might be in the same boat. I noticed there's something kind of like this already going on, called the Review Copy Cleanup. So if you think that might be for you, it sounds like a good idea! The host is planning on having some readathons and Twitter parties to keep everyone going. The last three aren't super pressing, but it would be nice to get them done, too! Oh, and there are a couple of books I already finished, but reviews are forthcoming! My brain feels like it's been running a mile a minute with ideas for blogging and starting a business and reading and more... Hope you can make sense out of my recent blog posts! And be on the lookout for more blog posts (including book reviews!) to come soon! Here I am once again! But it was more than just beautiful views and great food - I had a fabulous time with family and friends. While sometimes it felt a little stressful with all the goings-on and keeping up with younger cousins, I really made such wonderful memories! I am truly blessed!! There will probably be some more pictures and vacation stories in the coming days, but before I conclude this post I wanted to address the second part of the title. You see, I'm considering starting my own free-lance editing business - hence the poll in the sidebar. Hopefully I will have more to share on this soon, but it would mean a lot to me as I send out some feelers if you would honestly let me know if you (if you're a writer) or someone you know might consider using the services of a free-lance editor. And it would especially mean a lot to me if you could pray for God's guidance as I test the waters! If it is God's will, I would love to use my passion for stories, my experience with editing/proofreading, and my education (Bachelor's degree in English) to encourage and assist authors in their writing. We'll see where God leads! For now, I'm back to blogging - and I look forward to interacting with you all again! When I come back, hopefully I'll have some pictures and new posts to share with you! May God bless you and keep you until we meet again in the blogosphere! There's been some forward momentum since my last driving post - God has blessed me so much with dear friends (like all of you!) to encourage me, wonderful family to take it slow with me and support me, and a great instructor to keep pushing me onward! And then on Monday I had my second lesson with Eureka Driving School... I confess to being a bit nervous, knowing that my instructor wanted us to practice mountain driving, and knowing she would expect me to just get in the car and go. I discovered something - I really enjoy driving in the country, with fewer cars around and beautiful scenery! Of course, I know I still have to watch out for critters. I've got to work on using my peripheral vision and not just focusing straight ahead and looking in the rear-view mirror. And I've got to remember to accelerate when going uphill (I'm still slower than I ought to be, in general). I wished we could stay up there and have a picnic or something! I got a picture as a souvenir of the sunshine (and my driving lesson), though! Then back down the mountain we went... My instructor and I had a nice conversation during the total 2 hours of driving. =) She's a Christian, as well, and it was great talking about church and such together! And when we got back to town, she helped me to face one of my bigger driving fears: crossing non-stop highway traffic. I still have a lot to learn, but we survived, so that's saying something!! We also practiced some lane changes - again, I've got my work cut out for me, but she gave me some great tips and helped me keep going. My last 2-hour lesson is scheduled for early August. Since I'm over 18, I can take my driving test whenever I feel ready, so maybe I'll try for my license after that last lesson... We'll see! Until then, I'll hopefully get a lot of practice in. We're going on vacation soon, so I'm sure that will open up some driving opportunities! It is 1811, and the prosperous port city of Charleston is bustling with immigrants like Adalia. But she has a secret: her light skin belies that she is part black and a runaway slave from Barbados. She lives in terror that her owner will come looking for her. Instead Morgan, the son of a plantation owner, finds her. He is handsome, charming, bored—and enamored of the beautiful Adalia. Soon she is swept into his glamorous world, a world in which the truth about Adalia’s heritage would ruin her—and Morgan. This epic romance reveals the beauty and tragedy of the Old South." Sometimes the veil separating us from our dreams is one that seems too priceless to tear apart. But sometimes our dreams - and the veil itself - aren't what they appear to be. 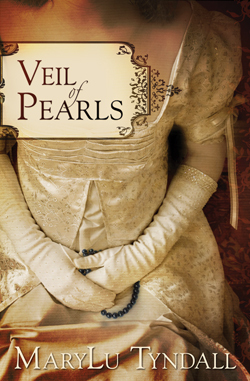 In Veil of Pearls Adalia and Morgan both find themselves on a journey of new and unexpected perspectives, a journey that is as engaging and ultimately uplifting as I've come to expect from a Tyndall novel! After escaping a cruel master, Adalia simply longs for freedom and a chance to live in peace. 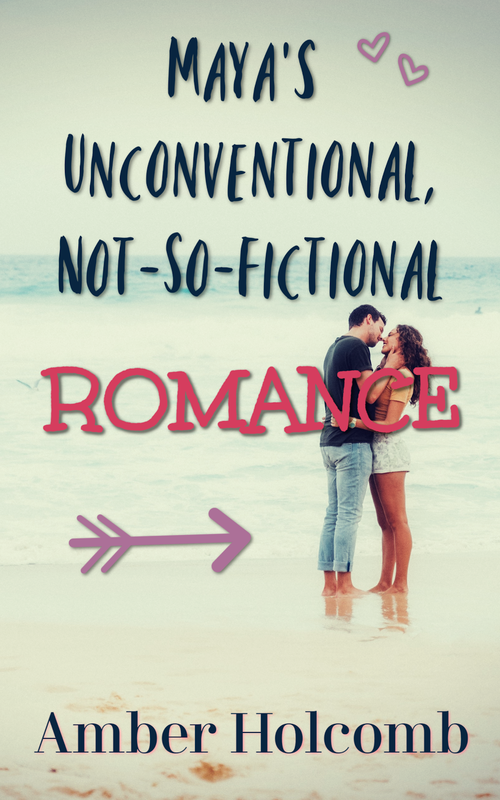 But when rich and handsome Morgan Rutledge starts to pursue her, his interest opens the door to opportunities she never imagined she could have - as well as troubles she never imagined she would have to face. What once seemed so good is suddenly not enough, especially when hearts are on the line. Where do Adalia and Morgan really belong? And do they belong together? Veil of Pearls is a story full of frustration and uncertainty, along with some enjoyable Tyndall trademarks: a little bit of seafaring excitement, a romantic hero, and an epic ending. And as it is a book "dedicated to everyone who has longed to be one of the 'in' crowd," I think many readers can relate to Adalia's struggles and/or Morgan's fears. Tyndall has written another pearl of a book, and I eagerly await the next addition to her lovely strand of stories! A little over a year ago, I got my instruction permit for the first time. A little over a month ago, I got my instruction permit for the second time. A little over a day ago, I went on the freeway for the first time! My parents were kind enough to pay for and help me set up driving lessons with Eureka Driving School - three 2-hour sessions. My first lesson this past Thursday was quite surreal, let me tell you! As soon as I got there, my instructor (a sweet and feisty older woman) had me sit behind the wheel of the car. After I explained that I had only driven in a parking lot (and that was last summer), she agreed to drive me to a residential area and have me start there instead. Probably the safest option, I think! For about an hour she taught me the ins and outs of stopping and making turns and pulling up to a curb. And then she asked me if I was ready to drive in town. Going more than 20 mph? Oh, OK, if you put it that way! "You can do it," she told me. I drove through town for a little while, turning when she told me to turn and trying to follow her instructions. (Although there was one STOP sign I didn't completely stop at... Oops!) She helped me pull over when the ambulance drove through town and even showed me how to fill up a gas tank. After getting gas, I drove out of town for a ways, and then she told me I should practice going on and off the freeway. At that point, I had to go fast, or I was toast! Sixty-five mph - did I really drive that fast?? Yep, and 30 mph seemed much less scary after that, LOL! If it had been up to me, I might have spent the whole lesson in that residential area, never quite sure if I was really ready to drive in town. I needed that gentle push - that reminder that sometimes you just need to jump in and do it. In this crazy adventure called "life," may God give us wisdom to know the times when we really do need more time in preparation and practice. But may He also give us the grace to heed those gentle pushes when we need to, and to plow ahead with confidence on the path He has prepared for us. P.S. I have to add that since I wrote this post, I went out driving again with my mom...and let's just say that things didn't go as well as I had hoped. Don't worry - nobody got hurt, and I didn't crash or anything! But I had a difficult time with some turns and just driving smoothly. The worst part was trying to turn at the top of the hill to get back to our house... I knew there was a jogger coming up the hill, and my mom was telling me to look to the right before I turned left (which I wasn't doing), and I wasn't turning like I should... We both ended up panicking. (Thank goodness we didn't go through our neighbor's fence!) All that panicking led to tears after I got out of the car... Lots and lots of tears as I felt my self-confidence slowly draining away. It's a strange place to finish a post, but as this is a "driving diary" post, I have to tell it like it is. And right now learning to drive is slow process - a little bit forward in "drive," and a lot backward in "reverse." But after a talk with my grandma that helped me put some things in perspective, I'm feeling a lot better, in any case. She reminded me that no one is born learning how to drive, and everyone has to start somewhere. So as they say on Meet the Robinsons, I have to remember to "keep moving forward!" ...and guess what the theme is? You got it - books! I'm honored to be featured over at the Christian Book Review Blog. I'd love to have you stop by and share about your favorite books, too! And if you leave a comment, you can have a chance to win a $10 Amazon.com gift card! Click HERE to read the interview. See you there! "Raised in an exclusive boarding school among Fifth Avenue’s finest, Meg Davenport has all she’s ever needed . . . but none of the things she’s wanted most, like family, or dreams of a future that includes anything other than finding a suitable match. So when her distant father dies, she seizes the chance to throw etiquette aside and do as she pleases. Especially when she learns that John Davenport wasn’t the wealthy businessman she thought, but one of the Gilded Age’s most talented thieves. Poised to lead those loyal to Meg’s father, Ian Maguire knows the last thing his mentor would have wanted is for his beloved daughter to follow in his footsteps. Yet Meg is determined, and her connections to one of New York’s wealthiest families could help Ian pull off his biggest heist yet. But are they both in over their heads? And in trying to gain everything, will they end up losing it all?" Bees in the Butterfly Garden has a clever title and a cover lovely enough to draw readers in like butterflies to flowers. But the attraction doesn't stop at the title or the cover - this story is unique and engaging! Historical-romance fans will find an enjoyable setting that offers the traditional pull of the descriptions of the high life in late-19th century America. But there's a twist: the hero is a thief, and the heroine - despite her fancy upbringing - wants to be one, too. No matter what others tell her, Meg simply cannot believe that her father's choice in sending her away to school - and away from him - was one made out of selfless love. She views Ian Maguire as her replacement in her father's life, since her father took Ian in and taught him how to follow in his footsteps. So she determines to prove, if only to herself, that she could be the protege her father desired. Even if that means - or perhaps especially if that means - breaking societal and moral rules. However, Ian sees Meg as the untainted beauty that her father always portrayed her to be, and he wants to keep her that way, to protect her as her father did. But his resolve begins to crumble under the pressures of greed, reputation, and Meg's charm. Both he and Meg are drawn to the enchantment of a "garden" - one that is filled with the colors and promise of their own self-centered dreams. But where is it they really belong? 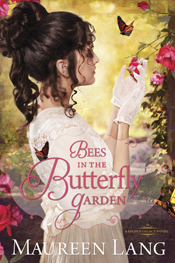 While certainly a satisfying historical romance, Bees in the Butterfly Garden has even more to offer. It's an exquisite story with wonderful characters that addresses courage, true wealth, and the distinctions between justice, mercy, and grace. A beautiful read from cover to cover! After having her agent discover her country music-loving alter ego (Amy Lee), classical music star Amelia Devries is in no hurry to get home. She has a lot to sort out in her mind about her future, her dreams, her obligations, and her relationships. So when she ends up taking a wrong turn during a storm and finds her car stuck near an out-of-the-way cabin, she takes it all in stride. Especially when unabashed singing reaches her ears and a kind young man offers her a warm, safe place to rest for a while. Michael Hostetler is enchanted by his house guest and has no desire for her to just disappear from his life as quickly as she appeared. Thus begins an amiable give-and-take between cultures (the Amish and the English), and between new friends with similar troubles and uncertainties. A good part of the book has a slow and relaxing pace as Amelia and Michael open their hearts and seek perspective. The ending seems a bit rushed in comparison, as time and space both seem to zip along to bring about the sweet conclusion. But if you're a fan of Hickory Hollow (either from Lewis' earlier series or the movie version of The Shunning), The Fiddler is an enjoyable excursion with dear friends that shows the importance of taking the time to relax, ponder life, and make new friends.